Digital pirates who outright steal products and then sell them for a profit. Serial ‘refunders’ who get access to a product legitimately, but then request a refund with the full intention of continuing to use the product. People who discover download pages and share the links with all their friends. While the intentions differ among these people, the end result is the same: the product creator is losing profits to people who feel entitled to take their work without paying for it. The problem for many product sellers is that protecting the work requires money or expertise that they don’t possess. Until recently, those who didn’t have very deep pockets or a good grasp of coding simply weren’t able to properly protect their products. So small business owners were hurt the most by digital theft, because they didn’t have the resources to fight back. This is just one of the reasons why software developers and marketers Jeremy Gislason and Simon Hodgkinson teamed up to create “Product Dyno,” which is a digital-product sales and delivery platform that makes it easy for anyone to protect their content. 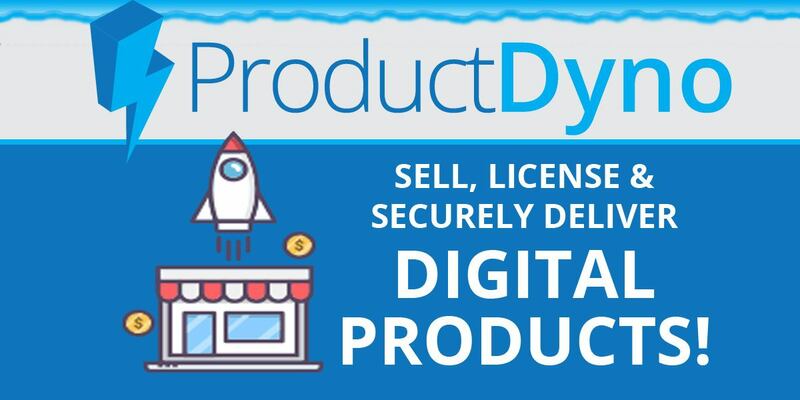 Product Dyno accomplishes this task by offering an intuitive sales platform that makes it “point and click” easy to add dual-layer security to any digital product. Those who develops apps, plugins and other software can also use Product Dyno’s licensing options to protect their work, which will revoke access to anyone who doesn’t have a valid license for the product. Sellers don’t need to have any technical experience to use Product Dyno, as it’s designed to be user-friendly for small business owners of all backgrounds and skill levels. While one of Product Dyno’s strengths is its integrated product protection, the platform also allows sellers to seamlessly connect and manage their autoresponders, payment processors and other services, all in one convenient place. “While we have a lot of sellers who use Product Dyno because of its security features, we have just as many clients who use the platform simply because it makes it so much easier to manage sales and delivery,” Hodgkinson says. Product Dyno is geared towards making it faster, easier and more profitable to get products to market. This is accomplished through time-saving automation features, automatic cross-promotion of all related products in a sales funnel, easy list-building, and “point and click” set up of delivery pages and even membership sites. To learn more about Product Dyno’s security, list-building and automation features, go to http://www.productdyno.com. For more info on this topic and how Product Dyno can help you make serious money blogging, check out our post “The Three Biggest Problems Selling Digital Products… Solved” And do it now, because you will want to get n on this!